Large and sparsely populated, the landlocked state of Wyoming straddles the high prairie known as the Great Plains in the east, and the Rocky Mountains in the west. Major mountain ranges include the Wind River Range and the Teton Range. Yellowstone Lake and Jackson Lake are the largest freshwater reserves, while the Bighorn and North Platte rivers are important waterways. Numerous Native American tribes inhabited the region for several thousand years, and when exploration by Americans began in the early 1800's, they encountered Crow, Arapahoe, and Shoshone bands. Early White settlement was slow and the area became merely a transit point along the Oregon Trail. The construction of the Union Pacific Railroad in 1868 brought a more permanent population to the area. 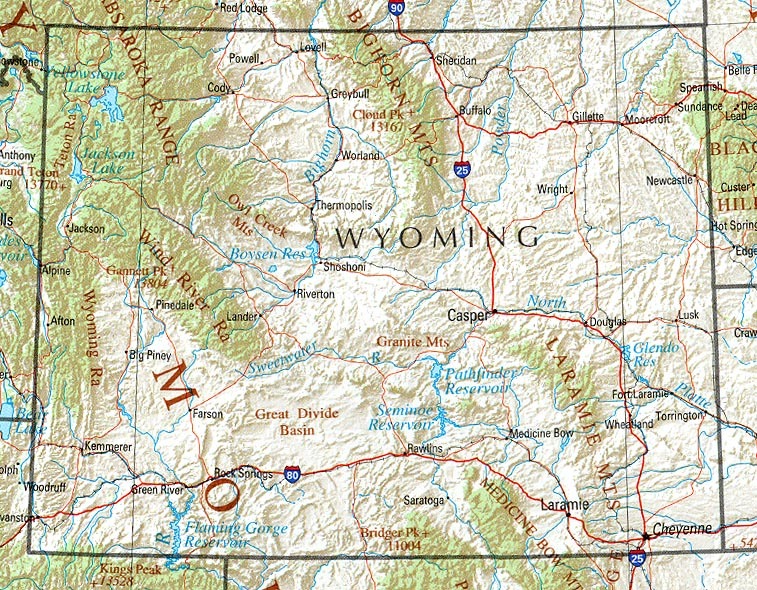 It was in the same year that the Territory of Wyoming was recognized. In 1869, Wyoming became the first state to extend partial suffrage to women, in an attempt to collect enough votes for statehood. In 1872, the striking natural beauty of the Yellowstone region became the world's first National Park. 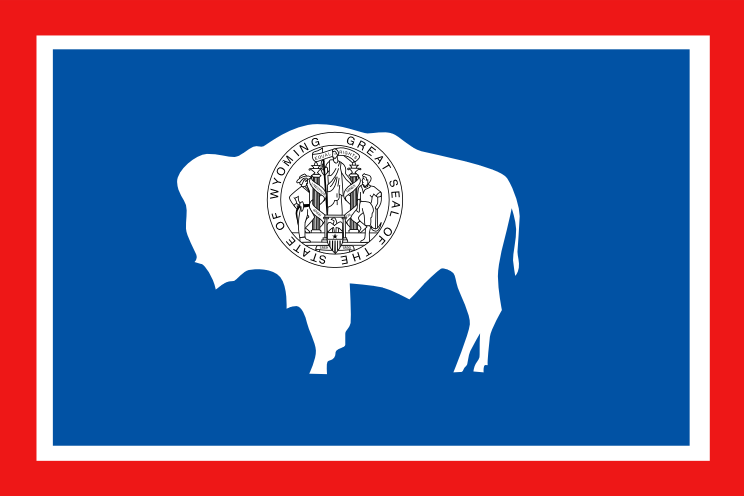 On July 10th, 1890, Wyoming was admitted as the 44th state in the Union. As the least populated state in the U.S., as well as the 10th largest, Wyoming has the lowest density of the lower 48 states. In fact, Milwaukee Wisconsin has some eighty thousand more people than the entire state of Wyoming. The largest ancestral group in Wyoming is German, making up some 25.9% of the population. The fast-growing Hispanic population accounts for some 6.4% of the population. Because of the arid terrain, farming is not a large economic earner. Instead, ranching is a major sector of the economy. Wyoming is the 2nd most taxed state in the U.S. after Hawaii, though its state education generally gets good marks; it has the largest number of two year postsecondary institutions per capita, as well as the largest number of elementary and secondary school staff per capita. Wyoming is a firmly conservative state, not having voted for a Democratic Presidential candidate since 1964. In 2004, George W. Bush won nearly 69% of the vote in Wyoming, his second largest margin of victory (after Utah).